I have arrived in Brussels, Belgium and have all day meetings. I did get a chance to see nearby Waterloo however. This monument in Waterloo marks the spot where Napoleon was defeated. 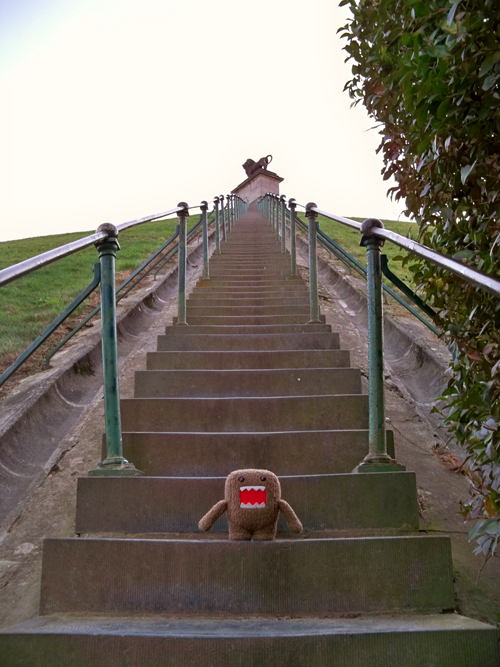 It had more steps than St. Pauls cathedral. 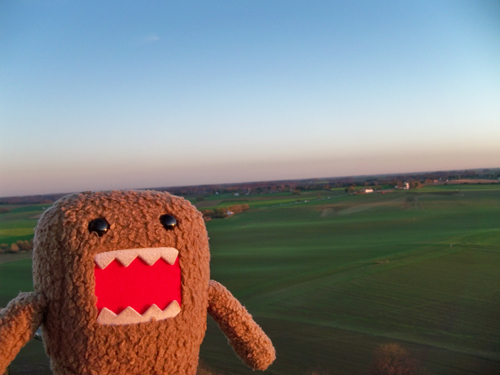 Domo was happy he wasn't left in the hotel room. 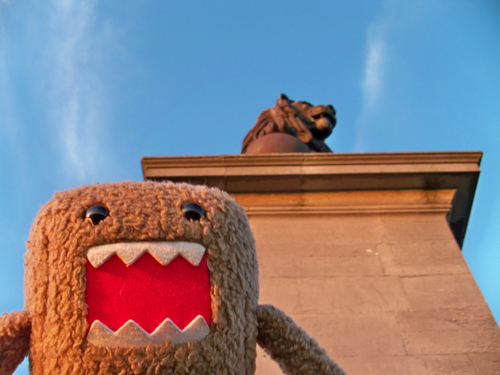 And this will forever be known as "The most beautiful Domo photo ever". I never knew Waterloo was so gorgeous! I remember looking down at Napoleons massive tomb and seeing his stuffed horse and dog on display. 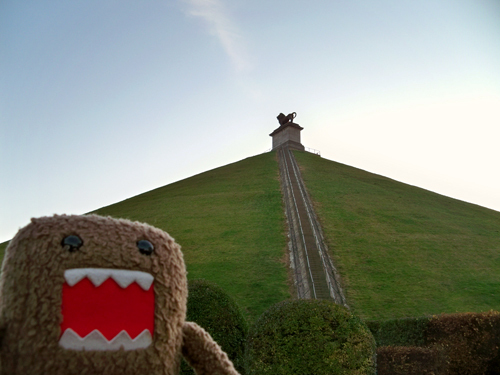 I wish I could go there someday.. and wish to be with domo too.. love it!